Superpublic San Francisco is officially open! 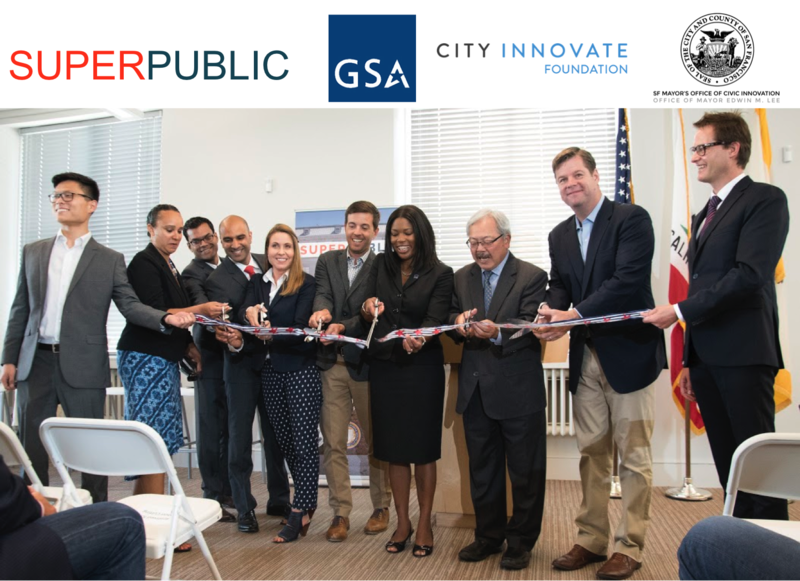 This morning the founding partners of Superpublic San Francisco officially opened the lab. We were honored by GSA General Services Administration Administrator Denise Roth, San Francisco San Francisco Mayor Ed Lee, City Administrator Naomi Kelly, Supervisor Mark Farrell of the San Francisco Board of Supervisors, City Chief Innovation Officer Jay Nath, University of California Berkeley’s Prof. Susan Shaheen and City Innovate Foundation Co-Founder and Executive Director, Kamran Saddique. We employ our own methodology using user-centered techniques, innovation sprints and consistent community outreach to accelerate the time it takes for public organizations to learn, to research about a problem, to prototype and to document the findings in white papers and policy recommendations. These are invaluable tools for cities to educate themselves on issues and possible paths to their solution and to build capacity within city governments to tackle urban problems. The findings can be advanced into pilot projects in the participating cities, which further cuts down on purchasing cycle times, increases competition and ultimately leads to better solutions for city problems. We are excited to open the lab after an intense time of preparations. Congrats City Innovate team for a job well done! Next PostSwitzerland for Start-ups: More than Chocolate!